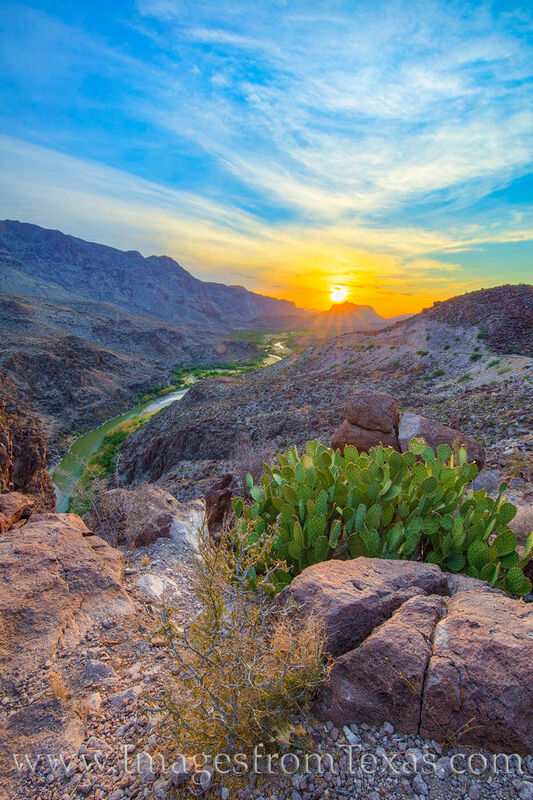 From west Texas and the Big Bend, the sun sets over th distant mountains of Big Bend Ranch State Park. Below, the winding Rio Grande makes its way east towards Big Bend National Park. This overlook is locally known as the Big Hill, and is easily accessed from FM 170 between Presidio and Lajitas on one of the most beautiful drives anywhere in Texas.